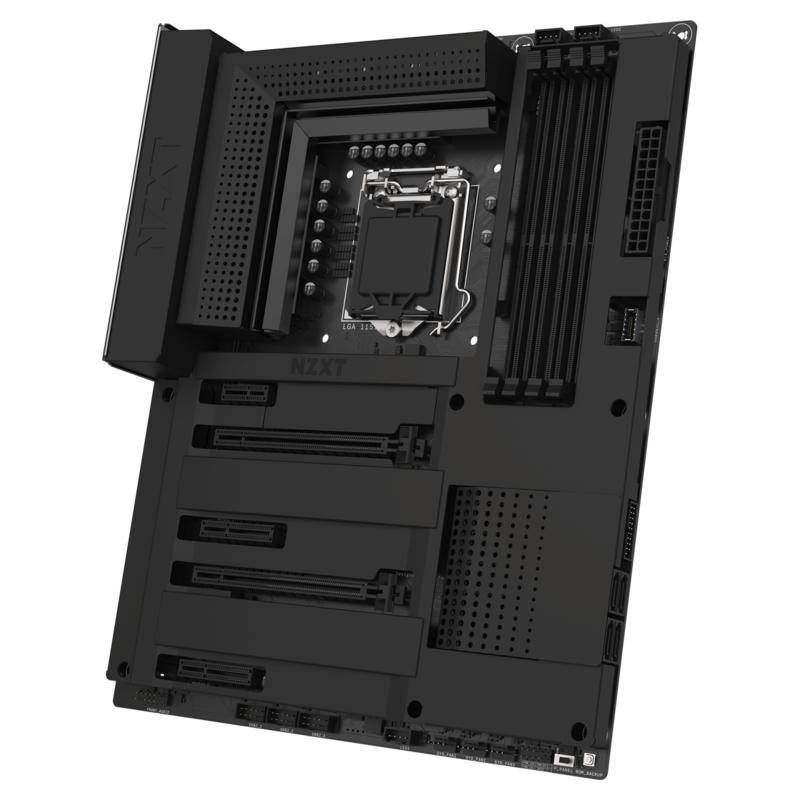 Back in January NZXT entered the motherboard market for the first time with their N7 Z370. Today, they are building on that with their second ever motherboard, the N7 Z390. As the name suggests, this new board will feature Intel's Z390 chipset and will be compatible with the 9th generation Core i3, i5, i7, and i9 CPUs. The industrial design of the board is extremely unique and is almost identical to the previous generation N7 Z370. The white and black aesthetic is intended to match with NZXT's line of cases for a clean look across your build. In terms of features, the board will come with Intel's AC 9560 Gigabit WiFi and Bluetooth 5 module. The N7 Z390 will support memory speeds of up to 3866MHz, two integrated M.2 connectors, and Intel Optane storage technology as well. Based on the launch renders, it appears there are 8 individual fan headers. NZXT isn't necessarily known as a motherboard company, so entering that market has been difficult. Many thought the N7 Z370 was overpriced and lacked features to make it stand out in a very crowded market. At $275, it's easy to see where these complaints are coming from. The new N7 Z390 will have an equally high MSRP of $280 which puts it near the top end of motherboard prices. The N7 Z390 was built using customer feedback on the N7 Z370 and includes lots of new features. The board is compatible with NZXT's HUE 2 RGB system and their GRID+ fan control system. All of these settings are available in the CAM software to help simplify management of the system. Another unique feature is a built-in microphone that can automatically characterize a system to intelligently lower fan noise. This takes the place of traditional fan curves and will still work even if you change hardware. The $280 launch price seems steep, so it will be important to see how the N7 Z390 performs to know whether it's worth it to those who want to take advantage of what's on offer. Based on the feature set, the board would probably do best in the $220-250 price category, but we'll have to wait and see.